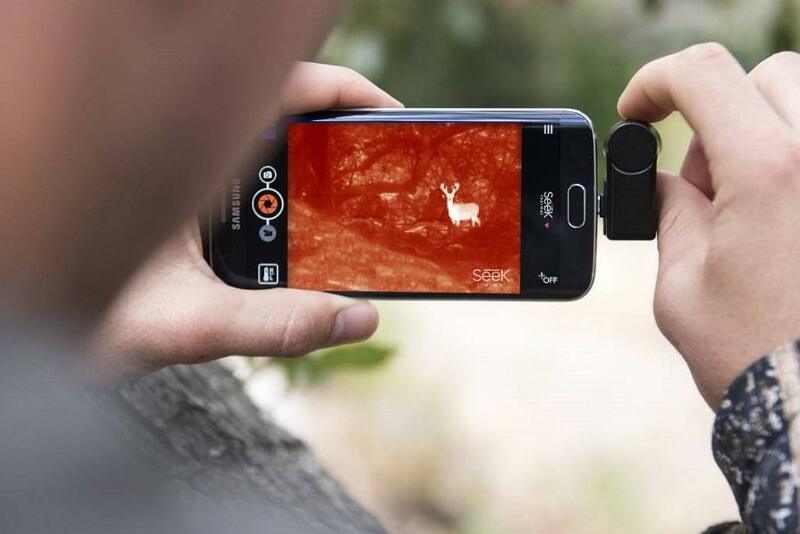 The Seek Compact XR thermal imager (an add-on for Android and iOS smart phones) takes all of the features and specs that make the standard Seek Compact so effective and adds an increased range that helps you accurately generate thermal images from nearly double the distance of the regular Compact. 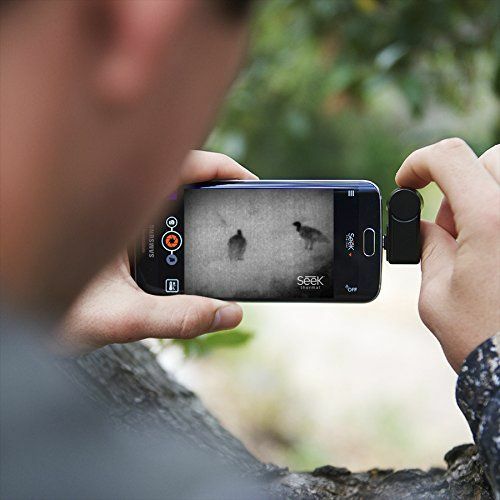 The Seek Compact XR provides a detailed and precise thermal image from an incredibly far distance away from the objects you are capturing, along with several features that make the Compact line one of the best known thermal imaging camera series on the market. The Seek Compact XR isn’t kidding around with the extended range thing. While the base model Compact captures images from up to 1,000 feet away, the XR is able to do so from up to 1,800 feet away. 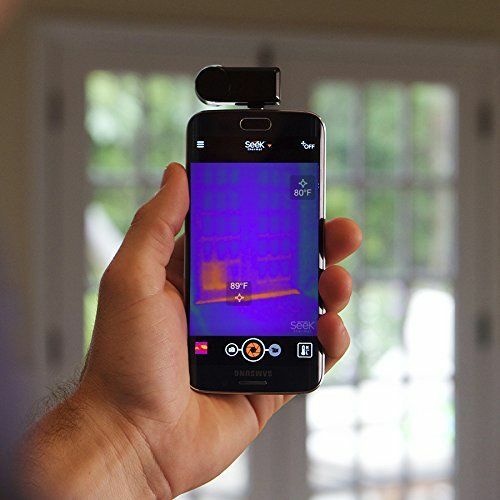 That is vastly superior to any other thermal camera in its class, and opens the XR up to several more uses. The Seek Compact XR is called compact for a reason. The camera unit is very small, and barely adds any weight to your phone at all. Most passersby would never notice you using it in the first place. With a range of -40°F to 626°F The Compact XR is just as capable of capturing extreme temperatures as the basic Seek Compact. The Seek Compact XR’s thermal sensor offers a detailed image resolution of 206 x 156 -- a much higher resolution than other smartphone/tablet thermal cameras available. 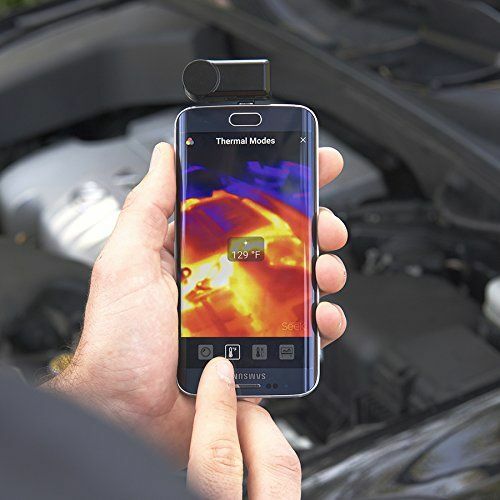 Unlike many other smartphone thermal cameras, the Compact XR is powered by the phone’s charging port, saving you from having to worry about charging separate devices. The Compact XR’s threshold settings can help you create an optimal image that is perfectly tailored to what you are wanting to capture. The threshold setting will exclude any temperature above or below a certain point, ridding your image of disruptive readings that could hinder the image in certain situations. The Compact XR’s small waterproof carry case protects the camera, and even has a keychain ring that you can use to attach to your personal or work keys. 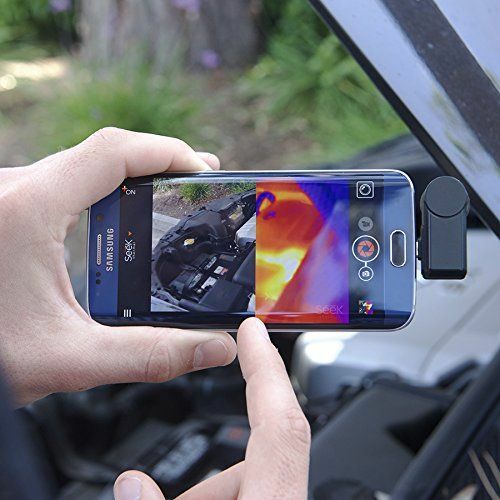 The Compact XR is a great thermal imager regardless of if it’s a smartphone camera or not, but it does have a few characteristics holding it down and preventing it from being as good as it could be. The Compact XR has unbeatable distance capabilities, but it does not have a visible light digital camera to create highly-detailed, overlaid images. The Compact XR could use a few extra features in the app. Color palette choices are limited, and the XR also lacks panoramic and time lapse settings. The Compact XR was specifically created to offer highly-detailed thermal images at an extremely long distance, and it largely succeed. Although it could definitely use an image overlay, the Compact XR’s durability, accuracy, and massive distance capabilities makes this thermal camera one of the best around for its size.